Give your bedroom a taste of retro-inspired style with this Dresser. Forming a stunning example of modern glam, this dresser features six drawers that is a unique inclusion to your home interior. Made up of solid wood, wood veneer this dresser features spacious drawers with antique metal bar handles to allow you to place commodities easily. This dresser also accented with natural wooden texture providing a great look to the dresser. It can be use to store jewelries and other knickknacks while the smooth top can be used for decorative purposes. 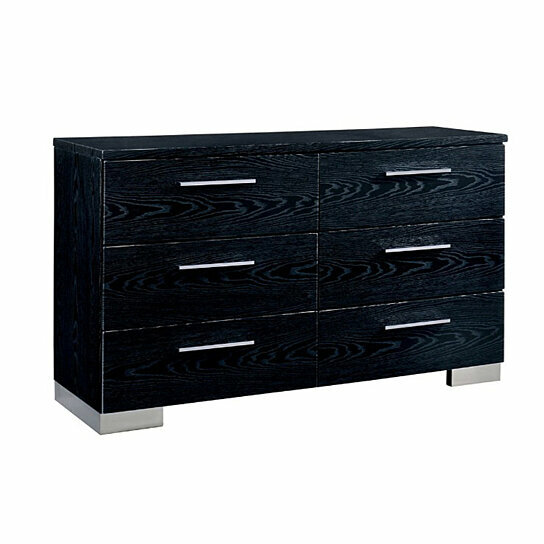 Features six drawers that provide great storage and chrome metal bar handles provide easy opening . Can be use to store jewelries, clothes and other knickknacks while the smooth top can be used for decorative purpose.